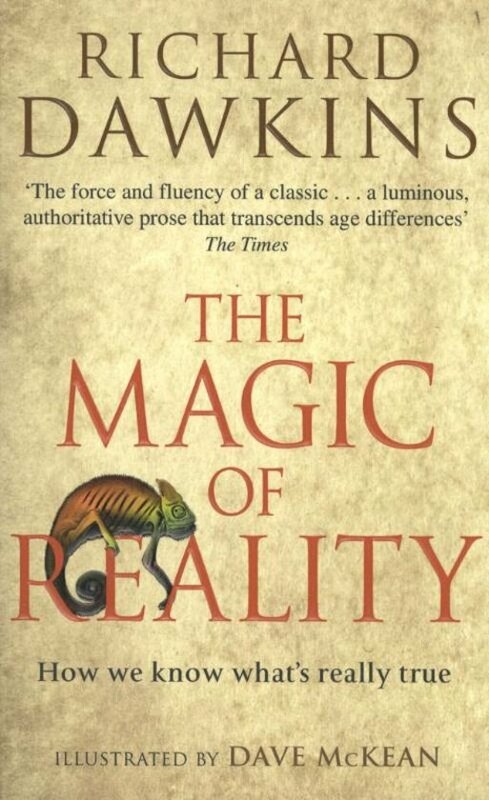 Packed with inspiring explanations of space, time and evolution, laced with humour and clever thought experiments, ""The Magic of Reality"" explores a stunningly wide range of natural phenomena. What is stuff made of? How old is the universe? What causes tsunamis? Who was the first man, or woman? This is a page-turning, inspirational detective story that not only mines all the sciences for its clues but primes the reader to think like a scientist too. Richard Dawkins elucidates the wonders of the natural world to all ages with his inimitable clarity and exuberance in a text that will enlighten and inform for generations to come."